Raw Love Sunscreen offers full broad spectrum sun protection with a SPF 35 using non nano zinc as the only active ingredient. We use certified organic plant based ingredients to provide luxury protection for your skin. Water resistant and FDA compliant, our natural mineral sunscreen formula provides beneficial antioxidants while moisturizing your skin. The best sun protection is to limit your exposure and cover your skin. The next best protection is Raw Love! Raw Love reef-safe sunscreen is made for people who love to dive, surf, swim, paddle, hike and adventure in the sun with friends in tow. 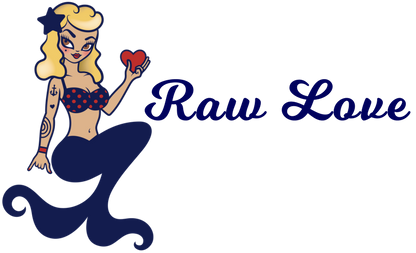 Raw Love was created on the beautiful island of Maui in 2015 by a dive master and SNUBA instructor who is constantly on the water and in the sun. Jenna Davis wanted to protect her skin and tattoos without using chemicals that stung her eyes and had the potential to hurt the reef and her body, so she developed an eco-friendly, reef friendly, biodegradable, moisturizing mineral sunscreen! Check out our sunscreen ingredients—safe for the entire family.